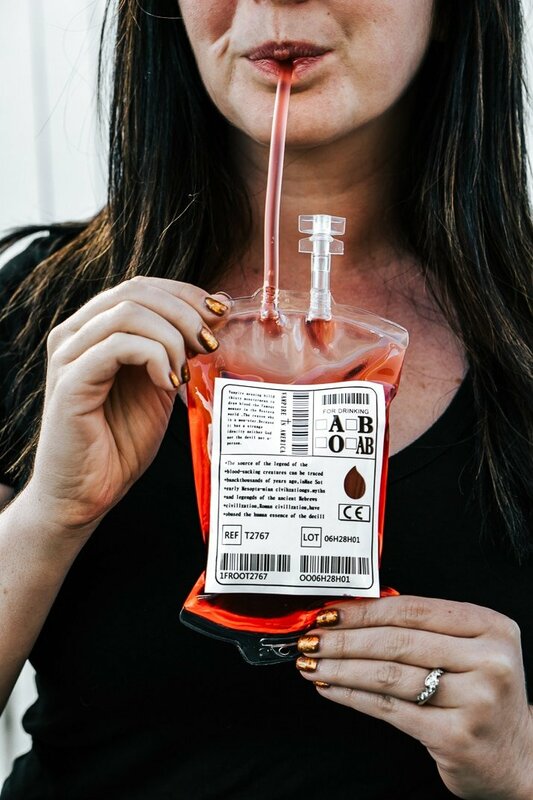 This Blood Bag Cocktail is the perfect quick drink for all your Halloween parties! Made with two ingredients, this drink is an easy and deliciously spooky libation! I can’t believe Halloween is less than 10 days away and I haven’t posted any new Halloween content yet! I still have to order candy and decorate my doorstep, since this is the first year we’ll live in town and have Trick or Treaters! 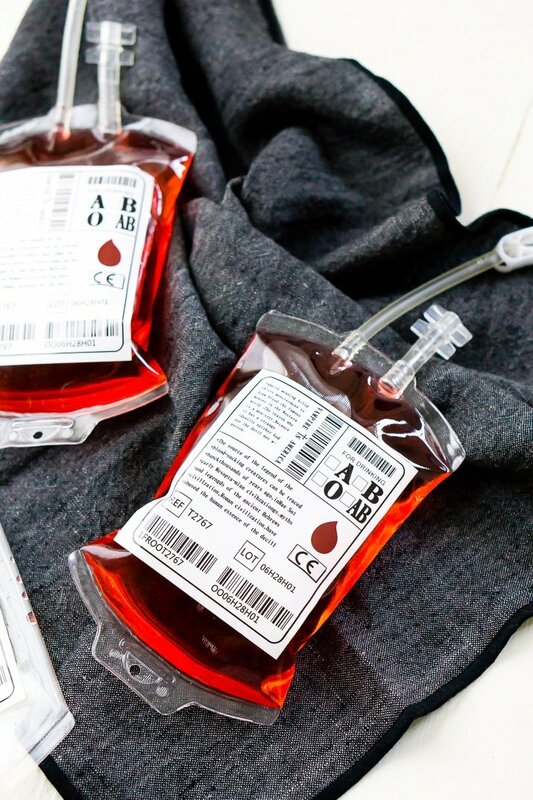 So if you’re running as behind in life as I am this month, this Blood Bag Cocktail is for you! So really, this drink is a Red Russian, made with just two ingredients: vodka and cherry liqueur. If you’re not a big cherry fan, you can also use strawberry schnapps. Sometimes people even mix those two with some cranberry juice, which is what I would recommend doing if you want to fill your blood bags nice and full! 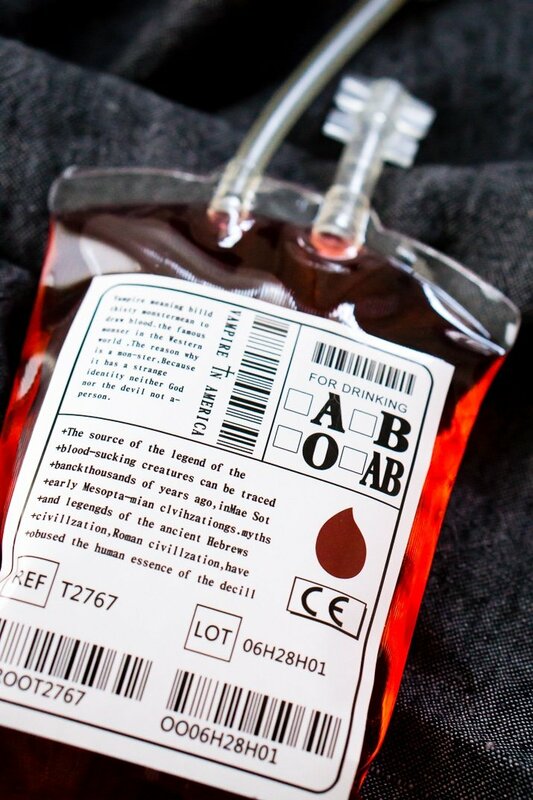 I got my blood bags on Amazon, this seemed like the quickest and easiest way to get my hands on some. 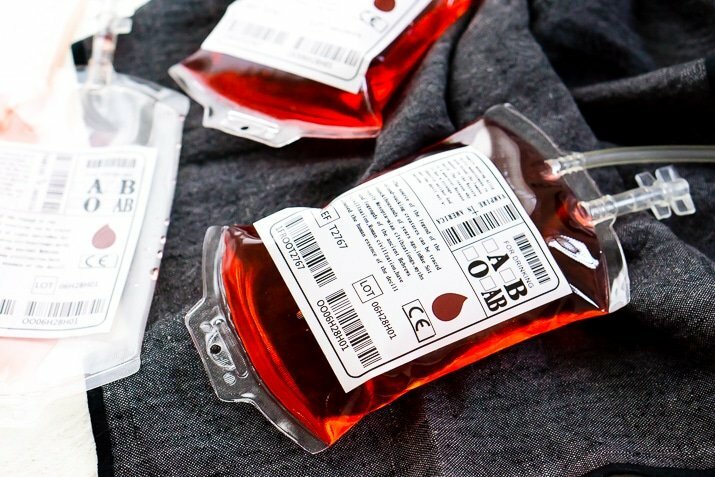 It was about $10.00 for a 6-pack, these are not real blood bags (obviously) but they make great little pretenders and after all, isn’t that what Halloween is all about? Pretending! If you want something easy and non-alcoholic for the kiddos, try my Goosebumps Punch recipe! Combine vodka, cherry liqueur, and ice in a cocktail shaker and shake. 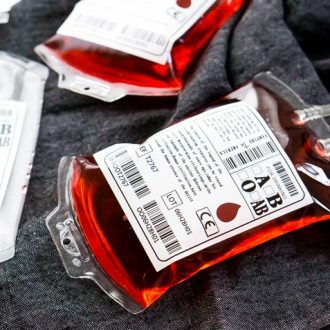 Using a funnel, transfer the liquid to the blood bag, leave ice behind. For a lighter cocktail, you can just do 3 ounces total of the alcohols and then add cranberry juice for the rest.